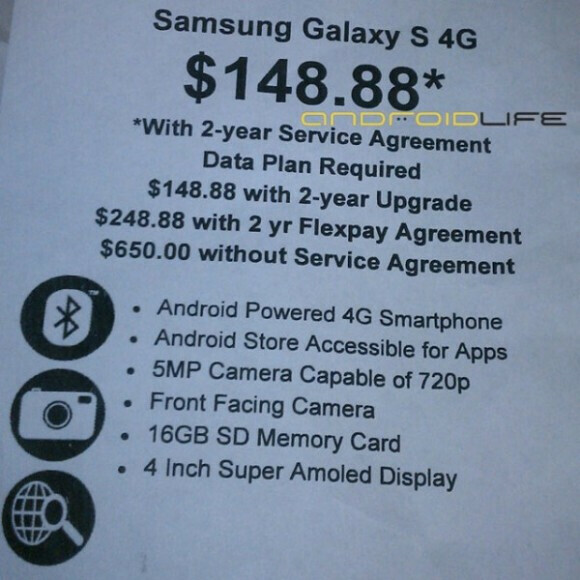 Thanks to a leaked image from Walmart, the pricing details of the Samsung Galaxy S 4G, the first HSPA+ phone that supports 21Mbps downloads, are now clear. 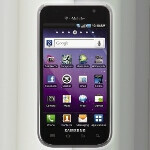 Walmart will have it for $148.88 with a two-year contract, $248.88 with a two-year Flexpay arrangment, and $650 off-contract. Not a bad pricing scheme, save for those customers who bought a Samsung Vibrant, and still have a year and a half on their contracts. The major differences with the Vibrant, besides the 21Mbps radio, are that the Galaxy S 4G is running Android 2.2 Froyo out of the box, has 16GB of memory and, last but not least, it has a bigger 1650mAh battery to compensate for the additional battery drain that 4G brings along. Whatcha gonna do, we live in tumultuous times for the cell phone industry, where your device becomes older for a few months now, instead of a full year.